At the heart of this book lies a reappraisal of humanities research and its use in understanding the conditions of a consumer-led society. This is an open, investigative, critical, scientific task as well as an opportunity to engage with creative enterprise and culture. Now that every user is a publisher, consumption needs to be rethought as action not behavior, and media consumption as a mode of literacy. Online social networks and participatory media are often still ignored by professionals, denounced in the press and banned in schools. 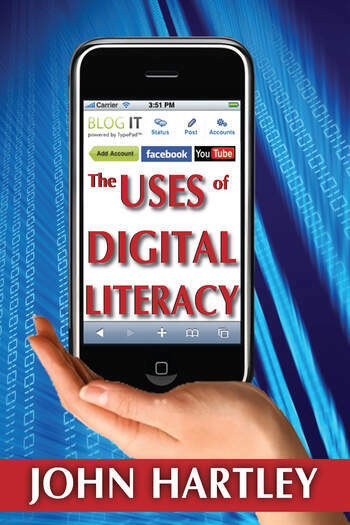 But the potential of digital literacy should not be underestimated. Fifty years after Richard Hoggart's pioneering The Uses of Literacy reshaped the educational response to popular culture, John Hartley extends Hoggart's argument into digital media. Media evolution has made possible the realism of the modern age journalism, the novel and science not to mention mass entertainment on a global scale. Hartley reassesses the historical and global context, commercial and cultural dynamics and the potential of popular productivity through analysis of the use of digital media in various domains, including creative industries, digital storytelling, YouTube, journalism, and mediated fashion. Encouraging mass participation in the evolutionary growth of knowledge, The Uses of Digital Literacy shows how today's teenage fad may become tomorrow's scientific method. Hartley claims the time has come for education to catch up with entertainment and for the professionals to learn from popular culture. This book will stimulate the imagination and stir further research.